Connect the Alere Afinion to your EHR! Now there’s a simple, fast and affordable way for you to transfer patient data seamlessly from your Alere Afinion analyzer to your EHR with Relaymed, the POC connectivity software solution for the physician office laboratory. Take manual labor and errors out of your workflow today. When patients can have their tests performed and results given during one visit, they can begin any necessary treatment faster. Connect your analyzers and never again spend time tracking down lab results. Relaymed ensures providers get the right data, in the right place, at the right time. 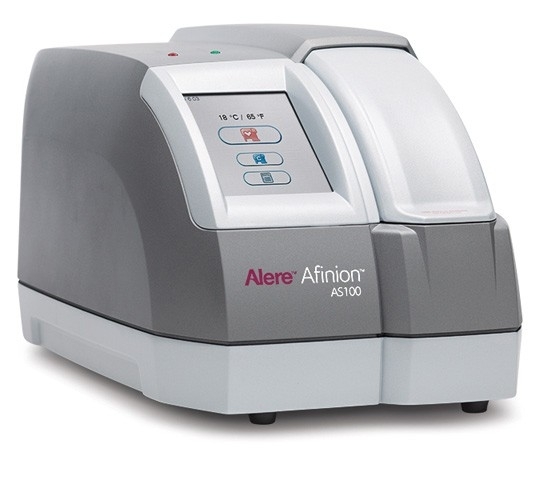 The Alere Afinion is a compact rapid, multi-assay analyzer that provides valuable near patient testing at the point-of-care, making it fast and easy to test quantitative determinations of HbA1c and ACR. 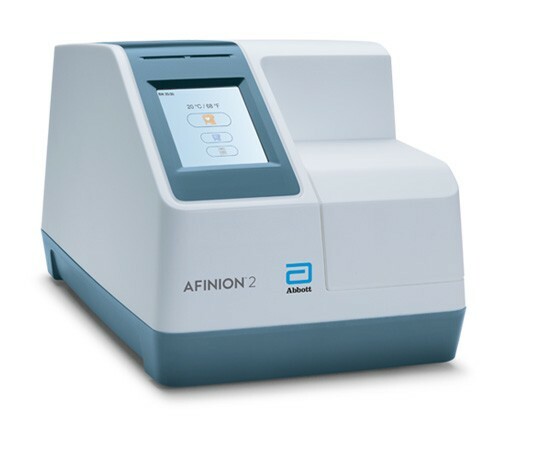 To learn more about the Alere Afinion analyzer, visit their website here. Getting started is easy. To connect your analyzer to your EHR all you need is the Alere Afinion Data Connectivity Converter (ADCC), which enables the simple transfer of patient and controls results, plus your Relaymed subscription. The latest addition to the Alere portfolio is the Alere Afinion 2 — which we can also connect to your EHR! What’s more, getting started with the Alere Afinion 2 is even easier, as all you need is a Relaymed subscription. You didn’t go into healthcare to manage time-consuming administrative tasks. Luckily for you, we went into healthcare with a mission to automate! Relaymed eliminates the time wasted from staff waiting and then manually entering results. Relaymed eliminates the time wasted for providers not having the results in the EHR while with the patient. This allows you to focus on the higher-value work you went into healthcare for. No longer do Alere clients in the physician office laboratory (POL) need to buy expensive and complex POC data management software systems, not suited for their needs to reap the rewards of automation. And you definitely do not need a laboratory information system! Relaymed is designed specifically for the POL, streamlined with the features you need. Like to learn more about our interface with the Alere Afinion analyzer? Request a demo today and you could be saving time and improving patient care within days.